The keen reader has figured that the hook name - add action was used to trigger the function each time a new custom post was created in a plugin to create these custom posts (EasyDigitalDownloads FES). I keep getting the value of the meta key 'license' as null at each attempt. Am I writing my hook wrong? or is my global variable malfunctioning? 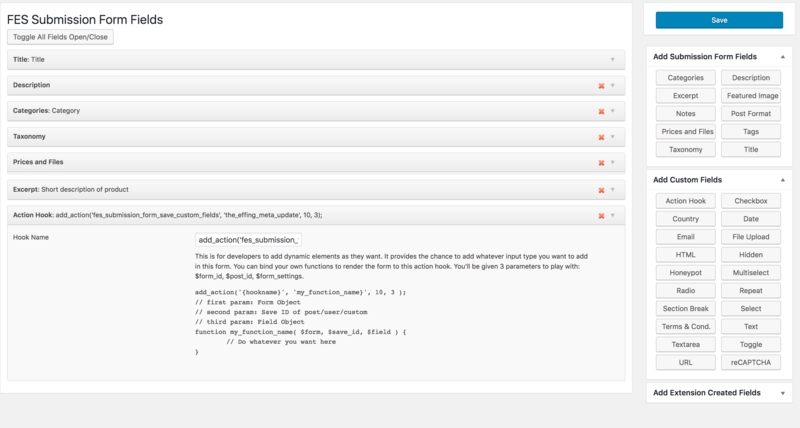 This is for developers to add dynamic elements as they want. 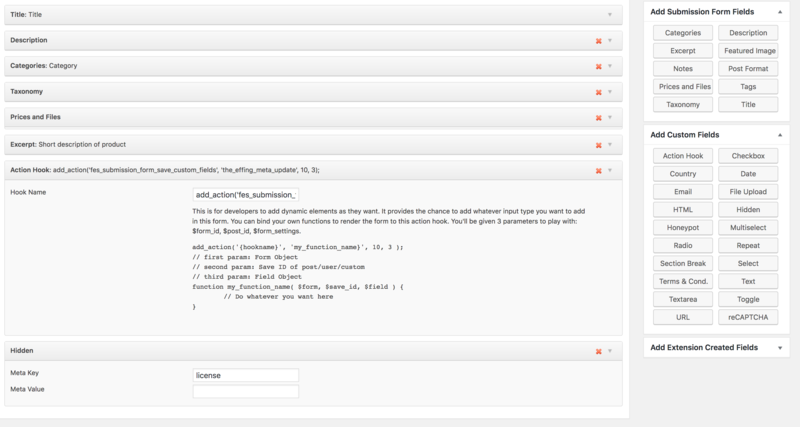 It provides the chance to add whatever input type you want to add in this form. You can bind your own functions to render the form to this action hook. You'll be given 3 parameters to play with: $form_id, $post_id, $form_settings. Browse other questions tagged post-meta actions variables update-post-meta globals or ask your own question. Reason action hook won't work with update_post_meta from frontend form? Alternative?